What happens when children lose their territory? What is the effect on their physical, mental, emotional health? I'm listening to BBC Sounds​'s wonderful #Forest404 programme. It reminded me, when I was 30, at the turn of the century now nearly 20 years ago, I went with Earthwatch​ to South America, to a small patch of ancient forest that was in the midst of a very deforested area. It kind of looked British - farmland with stands of trees at corners, by the rivers, in between. And in those patches of ancient rainforest were howler monkeys, and we were there to catch their urine and test it for the stress hormone cortisol. I watched a mama and baby howler monkey specifically, part of a family troupe. I watched them for 6 hours a day for two weeks, making notes and testing their stress levels. To a young British primary school teacher this was a deep nature engagement. This was the longest I'd spent in a forest. There were no phones (i didn't own one! ), and we couldn't even take our first generation iPod. It was deeply transformative for me. Because whilst i felt myself unravel and reconnect to nature, the howler monkey's urine proved they had elevated stress hormones all the time. Two weeks later I visited proper rainforest near Iguazu. Just the edges of it, but the edge of a vast forest. And the howler monkeys there were different. I realised the oh so tangible sign that my howler monkey mama and baby, and particularly his older brothers and uncles, were deeply stressed and miserable. They had lost their roaming range. They were increasingly curtailed. They were 'safe' from many predators that had been killed off as the forest disappeared, but despite their freedom they were as caged as zoo animals. My howler monkeys were silent. This clip, from the documentary #projectwildthing shows how the same enclosure is happening to our children. 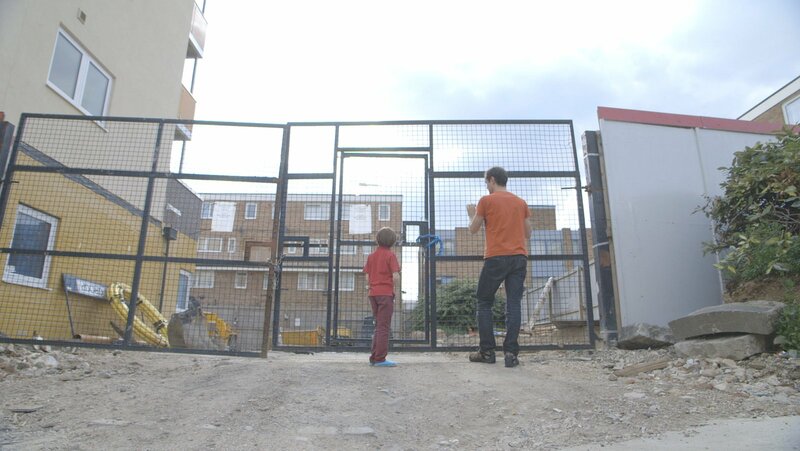 PROJECT WILD THING FILM CLIP - Mason, Mile End from Green Lions on Vimeo. This clip, from the documentary #projectwildthing shows how the same enclosure is happening to our children. This is now 9 years old, and the enclosure has grown even more pronounced. the very word 'play' is often dismissed as irrelevant, unnecessary. It's only valid if accompanies by the words 'learning through' or 'for physical activity rates'. Children are, as Tim Gill so elequantly put it, the indicator species of a healthy community. Their visible play was as ubiquitous in cities, towns and villages as the howls of those monkeys in the forest. But slowly, almost imperceptibly, it has disappeared from view. An unintended consequence of development and progress. but yet another indicator that the 11.5 years till environmental tipping point is coming up fast. Our wild walks are a tiny attempt to help a few parents rewild a few children. It's like a mouse trying to stop an elephant, but at least a small step in that direction. What else can we do? How can we get children's howl back?